In celebration of Shakespeare Day, students and faculty participated in workshops and performances to commemorate the playwright’s 454th birthday on April 23. Terra Vandergaw, an associate professor of theater, credited Ramapo’s 10th annual Shakespeare Day to the support from Ramapo’s theater program, the Devised Theatre Ensemble and the Salameno Center for British Studies’ advisory board for promoting studies of all things British. 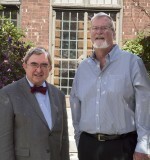 Professor Vandergaw is thrilled to join the company of other colleges and organizations who also come together to celebrate the life and work of William Shakespeare. She explained that interpreting Shakespeare’s complex work presents extreme challenges for theater students and actors alike, but the purpose of Shakespeare Day is to enhance actors' experience by blending academic study with engaging performances. “I enjoyed reading my piece. It’s always fun to perform. I enjoy being in front of a crowd,” said sophomore literature major, Rob Lenza. Following the student performances, performers from the Rockland Shakespeare Company, Chris Plummer, Christina Schaudel, Ryan McNeill and Andrew Morcinak, shared their favorite scenes and monologues with the audience. The authentic, unconventional style of their performances carried into the abridged version of the theater company’s repertoire. When the actors returned wearing Converse shoes and wigs, they comically performed “Romeo and Juliet” in its entirety with only two performers to play every character. After performing skits from 36 of Shakespeare’s plays, the performers joked that they had not performed a single scene from "Hamlet," inarguably Shakespeare’s best known work. From there, the four performers breezed through a minute rendition of "Hamlet," and then an even speedier version, followed by a minute long backwards run. 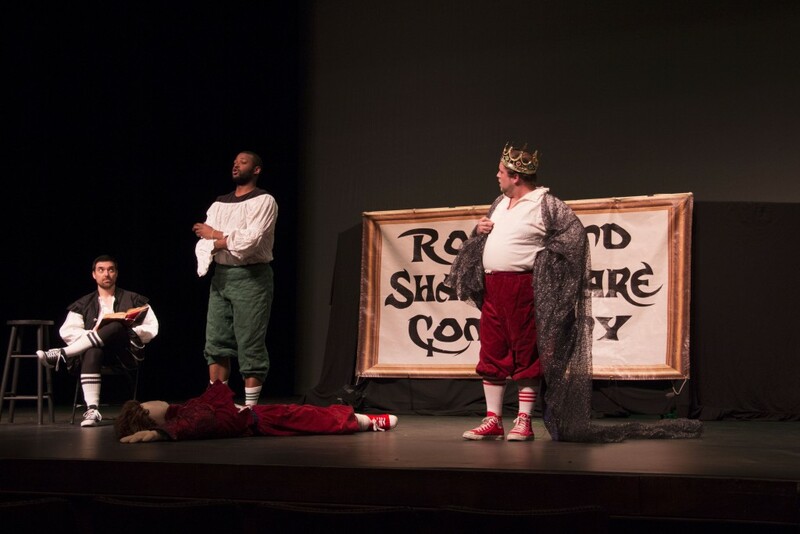 Performer Andrew Morcinak explained Rockland Shakespeare Company’s craft lies in making Shakespeare’s 400 year old plays into accessible content for audiences of all ages and backgrounds. One way that the company achieves this is by adapting the play into a modern, contemporary setting. For instance, one of their last bits brought “Titus and Andronicus” into a cooking show. "Rockland Shakespeare Company is uninhibited. The company is bold with their choices, fully engaged with Shakespearean text, and undoubtedly entertaining," said senior Olivia Mendez.